The increasing number of robberies makes the safe a good choice. In the last times the safes in Alicante have been popularized largely by the effect of malls, hardware stores and even bazaars. The manufacture of these and many other items made in China and other emerging Asian countries have made the prices of safes in Alicante very affordable. But at what price? Reduction of quality and therefore of security. Protection against theft. 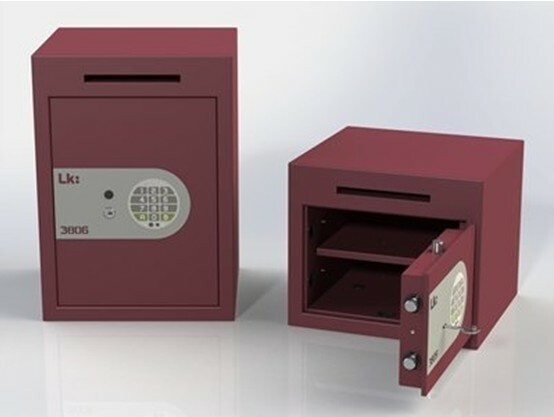 Due to the low cost of Asian safes this user decides to purchase one of them in order to to have some cash at home in a low-end safe instead of in a drawer. He is not very concerned about security but decides to purchase the safe because of its affordable cost in order to avoid temptations. Protection against robbery and theft. 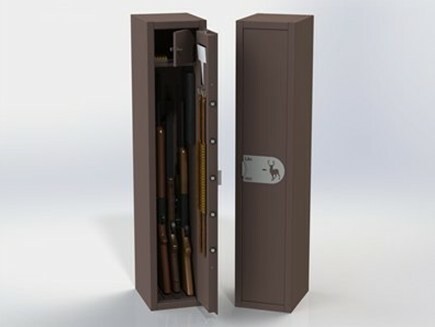 This user wants to have a domestic safe but with guarantees to keep money, jewelry or other objects in a safe place. He is aware that time is fundamental in a robbery and wants to take security measures. Professional user. The needs of this customer are completely different, because he does not look for a receptacle for his treasures, he looks for a safe with guarantees for the reasons that he considers appropriate, either because he keeps a considerable amount of money or jewels or sensitive documents, or for any other reason. The presence of employees from the company, or that it is obvious that valuable items are kept, are the reasons which makes the place susceptible to robbery. Safes give you time in the case of a robbery. The fact is that all customer profiles who wish to acquire safes in Alicante have to know that they will be able to be opened by unauthorized persons. What a safe provides to its owner is time in the case of a robbery. Time to protect their valuable things from a delinquent. AS an example, the vaults of the Bank of Spain or in any other country, are prepared to withstand an attempted theft for hours thanks to modern tools, but these can also be opened by thieves. Safes purchased in malls, hardware stores and bazaars can usually be opened in less than a minute with a drill even by non-experts, as well as many other simpler methods that for security are not going to be indicated in this article. Safes protected against theft are ruled by the international standards EN1143-1. This standard certifies through tests carried out by professionals in authorized official laboratories with specialized tools, the degree of safety of the safes tested. The first thing to do when purchasing a safe is to require the certificate of homologation of the safe. 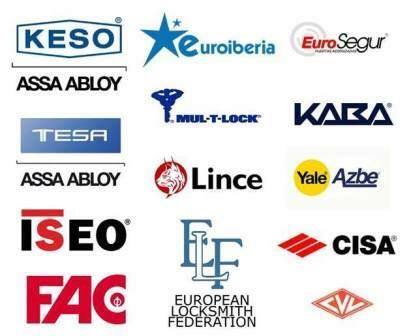 At Juanjo Cerrajeros Alicante, our professionals can show you which standard each safe fulfill and advises you on the safe that suits you according to your particular needs. Take also into accoung that insurance companies do not consider that you have a safe if you have purchased it without homologation, reducing the value of the goods you can keep at home, and even increasing fee. How to choose your safe? A) Safe for an activity subject to specific safety regulations. Banking, petrol stations, lottery administrations, weapons custody, jewelry etc. These and other businesses of sensitive activities have specific regulations on the safes to be installed in their businesses or dependencies, since their sectors have a special regulation, and must even fulfill with certain levels set out in EN1143. If it is your case, or you need advice as it is quite complex, contact Juanjo Cerrajeros Alicante and we will advise and show you without compromise those products that fit your requirements. • According to the economic or documentary value of the items to be stored in the safe, it is necessary to choose between standard safes that fulfill EN1143, or outside this normative, depending on the elements, materials and thicknesses that compose the safe. • The location of the house or company where you have to install the safe, if it is an isolated area or an area with high percentage of robberies is not the same as a safe in the center of Alicante. For example a safe in Playa San Juan also has its particularity for being a zone of seasonal occupation. 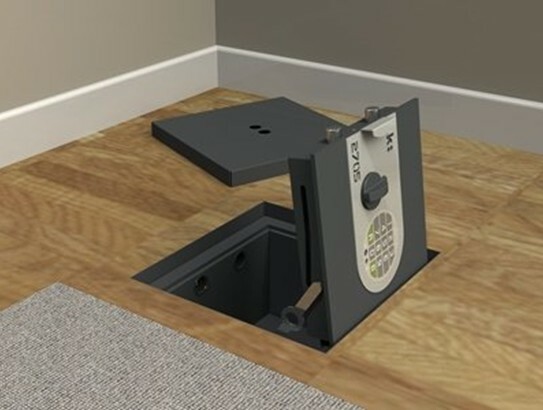 It is fundamental at the time of choosing the safe, lnowing the area where it is going to be installed. The built-in safe does not take away space, the superimpose one is safer and installs without handiwork. • If there is a high risk of fire of the materials that are surrounding around the safe or if it is a factory that works with dangerous products, it will be necessary that the safe is fire-resistant, so you can choose, as in the case offire doors, the time and the temperature that is considered necessary that they resist safeguarding the content. These types of safes in Alicante are recommended for textile companies or the ones that handle glues and solvents such as footwear companies. • It is necessary to consider if the building where the safe will be located has a video surveillance system, private security, alarms or any other additional security measures. • We must also have into account whether the safe needs to be operated during a schedule and / or has a delayed opening device. • In case the safe must receive income by several employees or by employees with a limitation of cash amount handling, we must choose a box with mailbox so that they can deposit envelopes or documents but can not take out anything onyone that don’t have the key or the combination. • You also have to choose between the different opening options of the safe, with key, with electronic keyboard, mechanical combination or combinations between these options. These safes require a masonry installation. Since the part with a greater reinforcement is the door, the rest of the box is usually not so protected and therefore are generally cheaper. On the other hand, when you remove it from the wall in case of theft, these are usually easier to be opended by the sides of the safe. The maximum background size will be given by the thickness of the walls. These safes are easier to install and it can usually be done by the customer directly, however Juanjo Cerrajeros Alicante may send one of our specialized staff to carry out such installation. The range of dimensions, finishes and security is bigger to the built-in ones by far, being able to cover any customer´s need. They are usually more comfortable to use, a good idea if it is going to have an intensive use. In an equal range, the level of security they offer is greater than in the case of the built-in ones. They can not be considered as safes, since they don’t have the minimum requirements against theft. Its use is focused on avoiding neglect theft by hired personnel, visitors, family and for hotel rooms. A skilled thief can open them in a short time, but they are useful if what you are looking for is to avoid such impulsive thefts. They are very simple to install and inexpensive, however they will not protect you from theft. If you are looking for safes in Playa San Juan or Alicante, contact Juanjo Cerrajeros and our technicians will give you advise.